CCFC’s leadership training program for young women is getting a new name and a new friend. In order to better reflect the nature of our program, what was known as CALT is now WALC. WALC (pronounced walk) stands for “Women in Agroecology Leadership for Conservation.” The content of this successful program remains the same but the name better communicates the focus of the program. 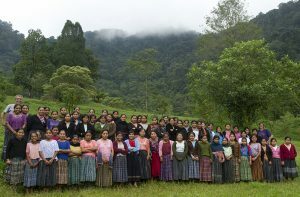 We at CCFC have seen the difference a 25-day leadership workshop can make in the lives of young Q’eqchi’ Maya women and the difference a work study scholarship can make in helping these young women follow their dream of an education that for many is simply out of reach.